GREEN BAY — Mike McCarthy nearly took a job on the Tennessee Titans’ staff in 1999, instead of coming to Green Bay to coach Brett Favre. 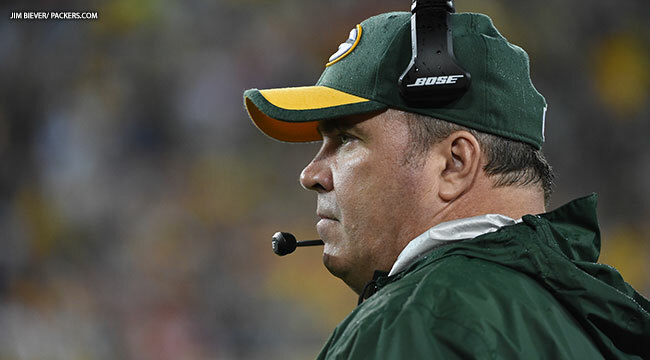 McCarthy told the story on Thursday of interviewing with Titans head coach at that time Jeff Fisher. McCarthy was impressed with Fisher’s program and thought he should take Fisher’s offer of a job. McCarthy said his father thought coaching Favre was the better choice, which is the choice McCarthy made. The punch line to the story, as McCarthy told it, is he and the Packers staff were fired after the ’99 season, and the Titans went to the Super Bowl. “You talk about building a program, Jeff emulates that to the highest. I marvel at the job he did there. I was really impressed with him and everything about his program. I’ve always had great respect for Jeff Fisher,” McCarthy said. The two coaches will meet again this Sunday at Lambeau Field, when McCarthy’s 4-0 Packers host Fisher and his 2-2 Rams. In other news, right tackle Bryan Bulaga might be ready to step back into the lineup after missing the last three games with a knee injury. “Bryan Bulaga went through practice smoothly. Today is a padded practice so this will be good work for Bryan,” McCarthy said. Bulaga was officially listed as limited in Wednesday’s practice. Packers.com will provide a full report following today’s practice and locker room interviews.